Like your photographs, your wedding video is one of those things you will treasure after your Big Day as you get to relive the magical day over and over again. There are so many reasons hiring a videographer is an no-brainer – we can’t think of anything better than getting to watch what will be 100% one of your all time favourite days all over again whenever you want from precious moments like exchanging vows or that special dance with your dad to footage of your aunts and uncles giving it loads on the dance floor! It’s a decision no couple ever regrets. When it comes to wedding videos, certain questions pop up time and time again so today we’ve asked our experts – the wedding videographers themselves, some of the most popular questions we come across so you know just how much work goes into creating that masterpiece. What factors make up the price of a wedding video? The main factors that make up pricing is filming on the day, travel costs, editing time and packaging of product to send off to the client. I also take a good bit of time emailing couples ahead of the big day to really tailor the film to them. It’s not just about a cookie cutter process of making a video. Add that all up and that’s how much it costs. What are the different styles and what is the difference? My work is about being personal to the client, so they really know me and then they can be themselves. Irish people in particular aren’t exactly comfortable being filmed and hearing or seeing themselves on camera so there is a trust in what I do to make couples feel at ease. All of that can be seen in the final film. Have you any other advice? Delegate as many jobs as you can for the day so you personally don’t have to do much and then trust that it will get done. Sweating the small things will ruin a really great day. How much does a wedding video cost and what factors make up the price? I think there is a wide price range for wedding videography in Ireland. I have heard of prices ranging from under €1,000 up to €4,000 and above. When looking at the cost of a wedding video, there are many variables to consider. The most obvious are what level of coverage is being provided and whether the service is being provided by a solo videographer or an entire team. It is important to remember that videographers tend to vary a lot in terms of their experience and creative vision, and these factors often play a role in their pricing structure. There are currently two main styles of wedding videography: traditional and cinematic. Traditional is best summed up as a longer, more “as it happens” style of wedding video. It is usually very comprehensive in nature. Cinematic wedding videography is around for a while now. It usually involves producing shorter, more creative wedding films which tell an emotion-charged story mixing in visual and audio sound bites from the day. The production values are often much higher than traditional video. The footage is usually more cinematic in nature, i.e. smooth camera movement and less static shots. At Keith Malone Wedding Films, I have created my own style which borrows the best bits from the two main styles of traditional and cinematic. I’ve termed this style “tradimatic”! How much does a wedding video cost? The cost of a professional wedding video can vary from €1200 – €3000. What factors make up the price? The main factors the make up the price are shooting on the wedding day, editing, equipment, human resources, insurance and music. Documentary style: normally single operator who may use multiple cameras to create a linear account of your day from Bridal Prep to First Dance, it may or may not include a highlight clip. Wedding Film/Cinematic style: These consist of a short cinematic creative edit of your wedding day. Normally around 10-30 min. These edits would have multiple camera and operators, drone and exceptional audio. They would also use additional equipment for stabilisation and effects. The videographer may also offer creative direction and ideas to the couple. The final product would encapsulate all the emotion, fun and laughter of the wedding day in a short cinematic edit, just like you would see on TV. When booking a videographer don’t always look at price. Check out some of their samples and drop them a mail or give them a buzz and have a chat and ask any questions you may have. A wedding video varies greatly in cost. One of the most obvious reasons is quality or ‘You get what you pay for’. The reason for this is the amount of work that is put into your DVD. Couples may think that charging €1000 plus for a videographer is a large amount but it’s often forgotten that there are days of editing and sound mixing and colour correcting afterwards. Not to mention the extra special edits that may be included like 5 minute highlight movies that require great care and attention. Also, you are paying for high-end cameras and wireless microphones that are essential to making your DVD look and sound professional. Just like photography, there is a fine art to filming a wedding successfully. With over 14 years behind the camera now, I’m still as passionate about wedding videography as I was when I started out. One of the biggest regrets couples have is not hiring a videographer. There is a reason for this – a wedding videographer captures your wedding day like no other supplier. A wedding movie is like a time capsule. Not only are you seeing and hearing your family and friends celebrate around you, you are also seeing what you missed in the whirlwind of your big day. Edited and paced using music and storytelling, it will be something you will revisit more often than you might think. I am often told by my clients that the money they spent hiring me to document their wedding was the best money they spent that day. I’m always honoured to hear this. Cost literally depends on what you want from your wedding film. A regular video which will take you straight back to 80s costs between €600-700 – you can’t expect much but if that’s your ‘style’ you should be happy with it. High-quality cinematic weddings films cost between €1700-3000 and more. Yes, they are not cheap but believe us with the higher price comes unforgettable experience. There are many factors that make up the price, but let’s put it this way, an experienced high-end wedding cinematographer will do his best to deliver a premium product. Meeting clients and making sure both sides are the perfect match is a common practice. We are not just booking weddings, we want to make sure we book the right clients who are looking for a particular style. From the beginning until the final delivery of the wedding film, our clients know they invested in a luxurious brand and that comes with the price. At the moment it’s very hard to define all the styles: modern, non-traditional, and of course, cinematic (Warning! Today every videographer uses the word Cinematic to describe his/her style but in many cases their work has nothing to do with that style). Just make sure you find the style you like, check out Instagram or Facebook for inspiration and we guarantee you will be delighted with your wedding film. To all future brides and grooms! Please do not try to save on your wedding videographer because you spent over 2k on your photographer. Both photography and video are equally important and prices are on par. 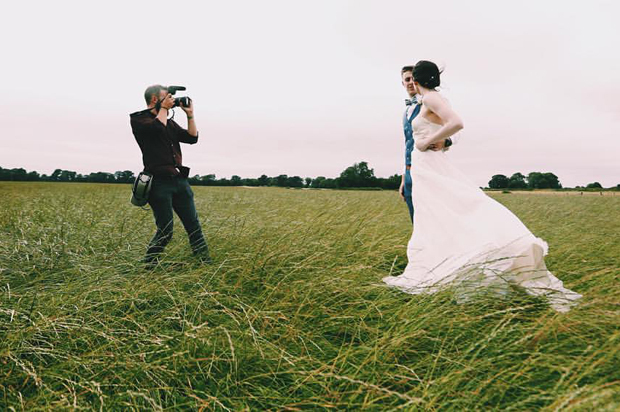 Booking one of the best wedding cinematographers in Ireland like VowArt gives you not just an amazing wedding film but also a superb experience on the day! The price of a professional videographer starts at approximately €1200 depending on where and for how long and can rise up to €2500. Prices can vary depending on your requirements – it can be determined by how sophisticated you want the end result to be. If you’d like a Hollywood production using 3 cameramen/women and the use of drones, all this really does take time and skill, not to mention hours in the edit suite to make it look as spectacular as you envisaged. The second choice is a more simpler day where the videographer and assistant just film the day as is and get everything that is required without the massive extra cost incurred by the big production. Your choice entirely. All of us have styles that have been crafted over years and to say one style fits for all weddings may not be true. The wedding held on the Cliffs of Moher may be dramatically different than one out in your back garden in a marquee so having a look at the videographer’s portfolio will give you a good insight as to what is available. We’re your eyes for the day, concentrating on what may go unnoticed to you, as you’re preoccupied with your special day. Be assured that the wedding will be a priceless record of your celebration. With email I do find that that the art of conversation has died and what gets translated in a chat often is overlooked in another one of the emails so I would advise any couple to try and make the effort to meet the videographer who will be responsible for recording your most important day. Weddings are all about TIME. For a wedding day to go according to plan, time has to be used wisely. The primary reason wedding days get out of hand is poor and/or unrealistic time management. One of the main reasons couples book me, and one of the main reasons photographers recommend me, is because of the way I shoot on a wedding day which helps to maximize time spent enjoying your day with family and friends. I shoot weddings unobtrusively – so you, your loved ones and guests won’t notice me too much as I work away. It’s very much a fly-on-the-wall shooting style, capturing natural reactions, without having to pose people or ask them to do anything except enjoy the day. For example, when filming around guests, I use a small DSLR camera body, so people are generally less ‘aware’ of the camera in this instance. 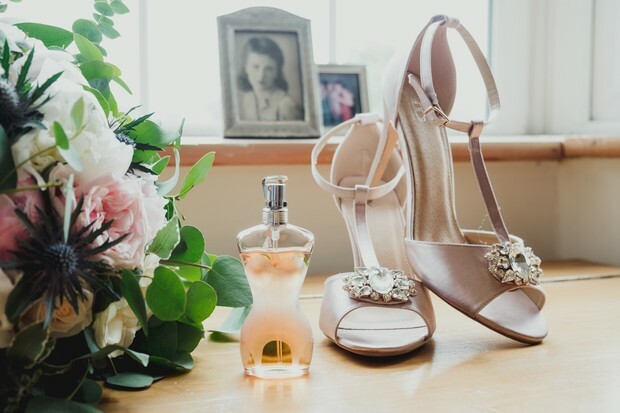 It also allows photographers who wish to engage more with people at the wedding to maintain their concentration without interruption, to keep their rapport going with the people in front of their lens, and to keep the attention of people with very short attention spans. I don’t want people paying attention to my camera at all. The shooting style I use simply works. I take what I’ve shot, and I craft a mixture of cinematic and documentary styles, providing you with the best of both worlds. I’d love to hear from you!